These mini Pumpkin Walnut cakes are almost too cute to eat- almost. We typically try to offer recipes to our readers that don't require a ton of extra equipment that isn't multi-purpose, but we couldn't help ourselves with these cakes. 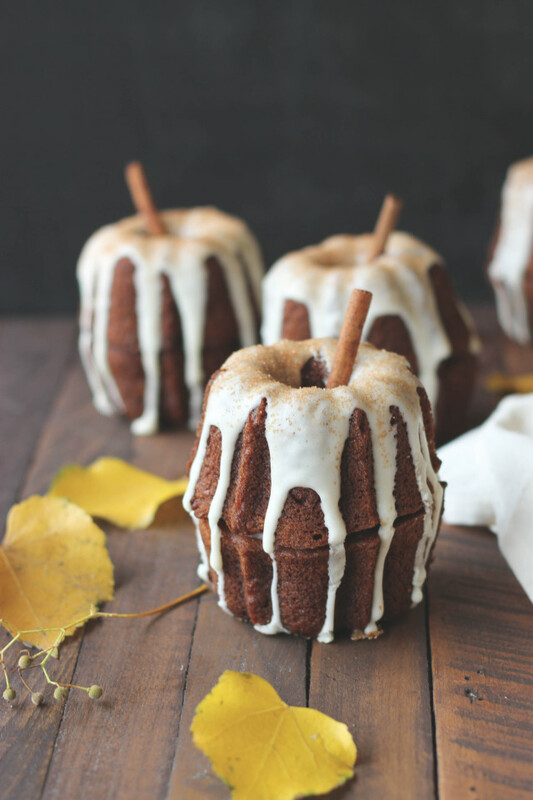 You will need a mini bundt cake pan to make these, but we promise, the wow-factor is worth it! 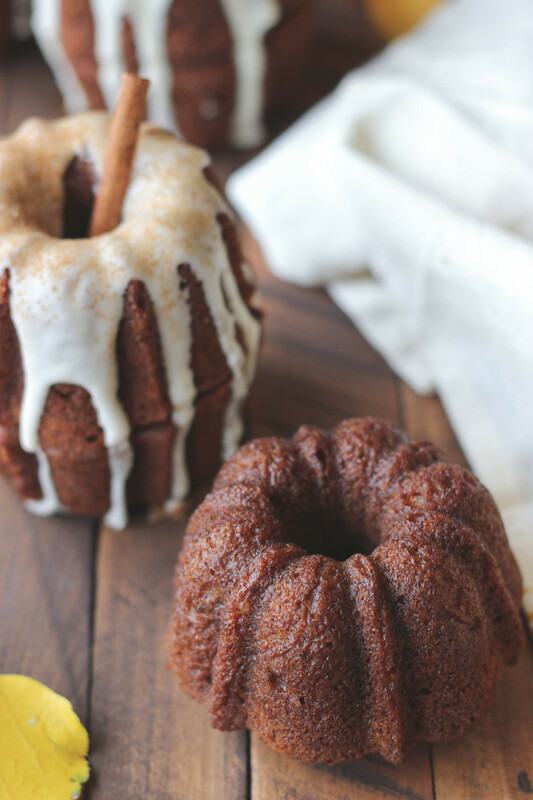 If you aren't able to get your hands on a mini bundt pan and only have a traditional bundt pan, this recipe is no less delicious. And if you're serving a hungry crowd, you could double the recipe and make one large pumpkin. We're sure it would look beautiful on a holiday table! Preheat oven to 350 degrees. In a large bowl, combine sugar and oil until well blended. Add eggs, one at a time, beating well after each addition. In a medium bowl, combine flour, baking soda, spices and salt. Add pumpkin to wet ingredients mixing until combined. Add dry ingredients in small additions, being careful not overmix. Stir in walnuts. Transfer batter to greased bundt pans and bake for 20-25 minutes for mini pans and 45-50 minutes for large cakes, until a toothpick inserted in the center comes out clean. Transfer to a cooling rack and let cool completely before assembling and icing. Whisk all ingredients in a bowl until smooth. Spread little on the bottom of one one bundt and stack another one right side up on top of it. Drizzle icing over the top and let drip down the sides. Mix 1/4 cup sugar with 1/2 teaspoon cinnamon and sprinkle over the top. Garnish with a cinnamon stick! Older PostFresh This Week + A Recipe for Beef Stew!